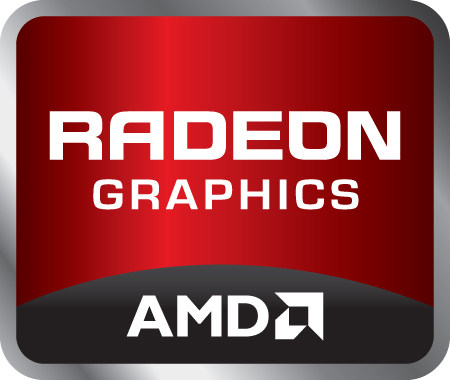 The AMD Radeon HD 7730M is a DirectX 11 graphics card for medium sized laptops and positioned in the performance class. It is manufactured in 28nm and based on the GCN (Graphics Core Next) architecture. The design of the Radeon 7700M series has its roots to the Cape Verde chip as found, for example, on the desktop Radeon HD 7750 with 512 1D shader cores and 32 texture units. However, it has a core clock of only 575 - 675 MHz compared to 800 MHz for the HD 7750. As a result, power consumption is expected to be much lower. While the desktop-version supports PCIe 3.0, the 7700M-Series doesn't (according to AMD). The performance slightly below the DDR3 version of the GeForce GT 640M. Therefore, current (Spring 2012) and demanding games run fluently in medium or high settings in most cases. Features of the 7730M include the new UVD3 video decoder for decoding MPEG-4 AVC/H.264, VC-1, MPEG-2, Flash and now also Multi-View Codec (MVC) and MPEG-4 part 2 (DivX, xVid) HD videos directly from the AMD GPU. The 7700M series also supports automatic graphics switching between the integrated GPU and discrete GPU. Called Enduro, the technology supersedes AMD's Dynamic Switchable Graphics and is similar to Nvidia's Optimus. Furthermore, the 7730M can directly support up to 6 connected monitors using Eyefinity Technology if Enduro is disabled. Other features of the 7700M series include ZeroCore for reducing power consumption when the display is turned off and Power Gating to power down areas of the chip that are not used. PowerTune allows automatic overclocking and underclocking of the graphics card as long as the GPU is within its TDP range. For example, the chip may be underclocked when running FurMark and OCCT, but will overclock in certain games like Lost Planet, Crysis or Resident Evil 5. Power consumption of the 7730M is suited for 15-inch-laptops or greater. The design of the Radeon 7700M series has its roots to the Cape Verde chip as found, for example, on the desktop Radeon HD 7750 with 512 1D shader cores and 32 texture units. However, it has a core clock of only 575 MHz compared to 800 MHz for the HD 7750 and 675 MHz for the 7770M. As a result, power consumption is expected to be much lower. While the desktop-version supports PCIe 3.0, the 7700M-Series doesn't (according to AMD). The performance should be in the range of the old Radeon HD 6870M and therefore slightly below Nvidias GeForce GT 650M GDDR5. Features of the 7750M include the new UVD3 video decoder for decoding MPEG-4 AVC/H.264, VC-1, MPEG-2, Flash and now also Multi-View Codec (MVC) and MPEG-4 part 2 (DivX, xVid) HD videos directly from the AMD GPU. The 7700M series also supports automatic graphics switching between the integrated GPU and discrete GPU. Called Enduro, the technology supersedes AMD's Dynamic Switchable Graphics and is similar to Nvidia's Optimus. Furthermore, the 7750M can directly support up to 6 connected monitors using Eyefinity Technology if Enduro is disabled. Power consumption of the 7750M should be suited for 15-inch-laptops or greater.